We want you to remain safe and comfortable in your homes. Our job is to take care of your health. 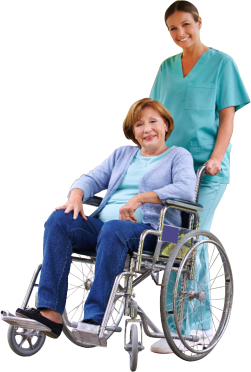 Aloha Healthcare has been a provider of home health services for many years. Since the beginning, we have managed to successfully preserve good practices in the profession and flexibility in clinical techniques. As the technology in health care improves through time, our quality stays the same. Aloha Healthcare makes it a point to give clients the guarantee of consistency in the delivery of services. Choosing Aloha Healthcare may just be one of the most significant decisions you can make for you or your loved one’s health. Because we have been regarded as a trustworthy care provider by our current clients, we are willingly compelled to continue strengthening their trust in us. We hope that you, too, will become one of our patients so you can experience excellent home health care services as provided to you by our well-trained nurses, therapists, and aides. To inquire about availability of services in your area, please give our office a call – 855-383-3888.